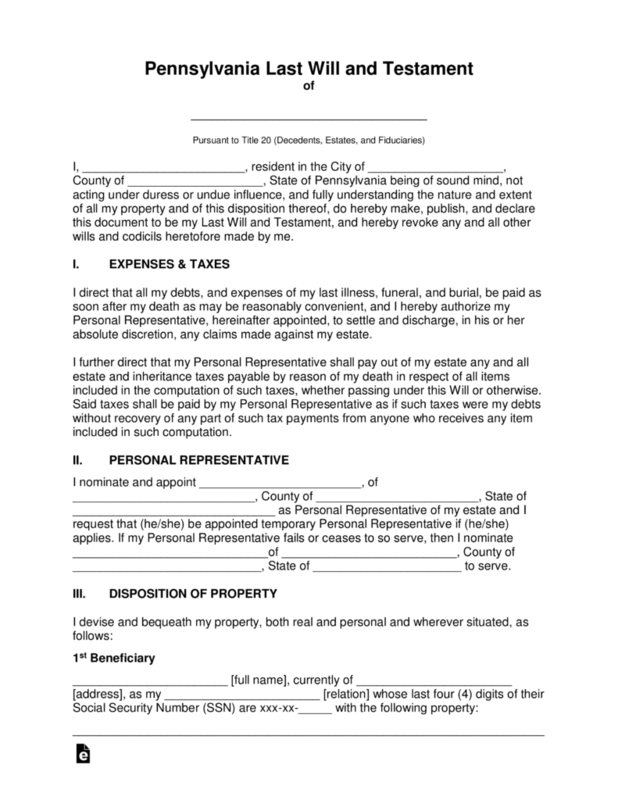 The Pennsylvania Last Will and Testament is considered a legal document whereas a testator will be allowed to place into writing, how they would choose to have their property distributed, by their executor, to the beneficiaries of their choice upon their death. Some of the most important assets for distribution may be, real estate, personal property and/or fiduciary assets. Any of these items would be included for distribution to spouse, children, friends. Some may even bequeath funds or items to charities and/or one of many institutions or even possible research organizations. The document will require notarization and the signatures of two separate witnesses. The testator may also revoke or change their document at any time. Signing (Title 20 § 2502) – If the Testator is unable to sign his/her name, leaving any kind of mark as a substitute will suffice. Whether it’s a signature or a mark, there must be two (2) Witnesses to attest the Testator and sign the will themselves in the Testator’s presence. 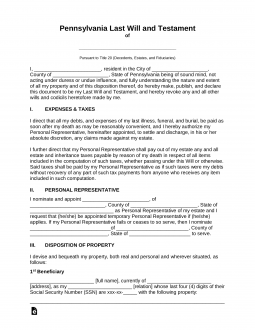 Step 7 – Notarization – The notary public will witness all signatures and complete the document.